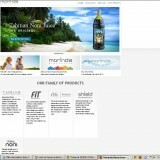 Morinda, formerly Tahitian Noni International, owned by Kelly Olsen and John Wadsworth and found at morinda.com, is a multi-level marketing company whose product is a fruit juice health supplement. By now you my readers know my position on MLM business models. However, for those of you new to my articles, I will say that the only people who profit in any meaningful way from multi-level marketing businesses are the ones at the top. That said; let’s explore what Morinda has to offer, and what it doesn’t. The first report I will cite is of a major news corporation affiliate who exposed certain misleading claims distributors were making about the product. The Attorneys General in several states have gone after Morinda to stop calling it a miracle, saying that the juice cured or prevented diseases. The injunction was effective. The company is careful to warn distributors about specific language. The FTC also makes sure they stick to the agreement not to call it a miracle or a cure by having them place an ethics link at the bottom of their site. Therefore, Morinda is just a health supplement, and they can get away with saying it’s bioactive. Although they claim the product has been clinically tested, they have not shared results publicly. That and other issues are what I call red flags. Another issue I have with Morinda is that they don’t disclose pricing or membership dues up front. There are 3 ways they have you sell the product, but we will focus on the affiliate member model. You have to sign up to get the costs. It varies with different products but minimum purchase is around 300 for the starter kit. There’s also a charge of a hundred to kick up to your sponsor plus undisclosed up line commissions plus bonus pool contributions at the start for the sales kit, and shipping costs. The product is quite overpriced and it does not do anything more than any other juice available at a cheaper price. If you are thinking of joining the mlm downline for Morinda be prepared and aware that there is absolutely no guarantee of any success, as most mlm ventures are usually a failure for most people. In fact, most people are doing it just to get the product on a regular basis, regardless of income earnings. I don’t call Morinda a scam, but I definitely do not recommend working for them.